No one would accuse Rich and me of being too conventional. Traditional, maybe, but for a couple who has spent months together on bicycles, think skiing a 50k race is fun and get excited about finding a yurt available for the night, doing things outside the norm is par for the course. So celebrating our 32nd wedding anniversary shortly after sunrise was a good fit. The weather was perfect. It was one of those cool spring mornings with a clear blue sky and the promise of a quick warm-up as the sun gained height. 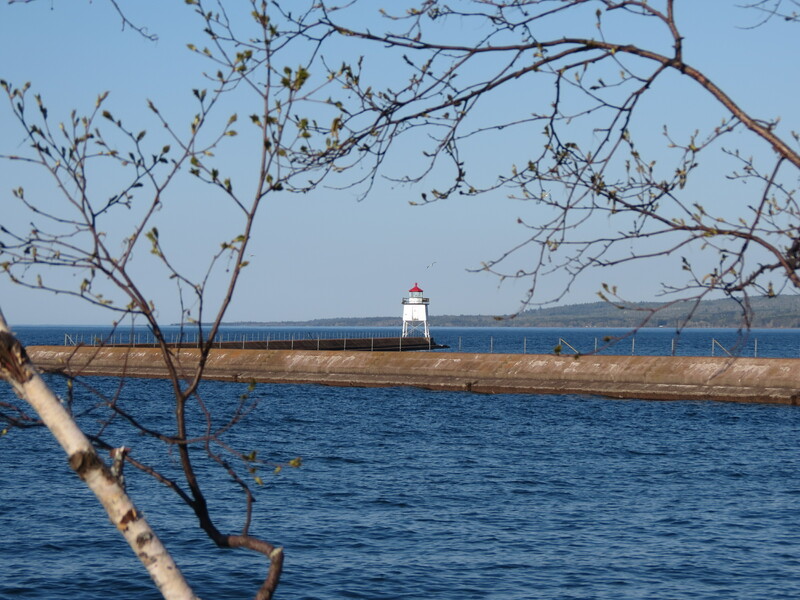 Our destination was the lakefront in Two Harbors, starting with the lake side trail north of the lighthouse. The easy path followed the shoreline, which proved to be surprisingly varied. Unlike the smooth rocks on the edge of Duluth, this area looked more like the lava remains of a volcano. Dark bumpy rocks formed an otherworldly surface, pocked with puddles reflecting the deep blues the sky. The lake was uncharacteristically quiet, resulting in a peaceful ambiance. I knew we were right on the edge of town, but it felt like we were in the middle of the wilderness. Rounding the corner the harbor came into view. 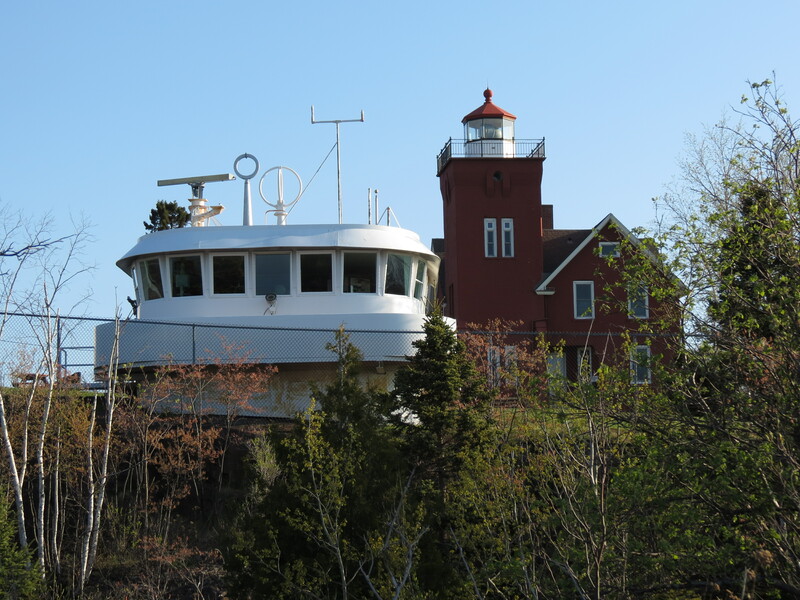 Inland was the lighthouse that now hosts B&B guests. What I hadn’t noticed before was the pilot house also on the grounds. 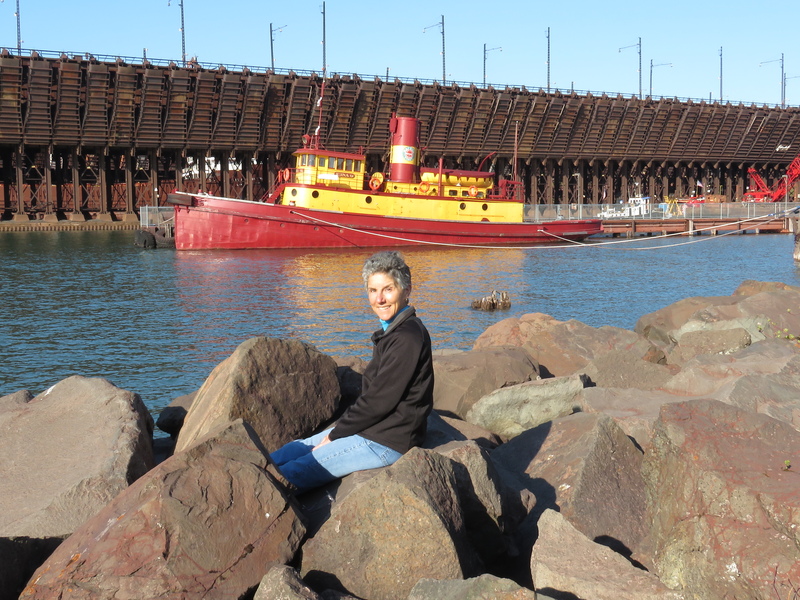 The Two Harbors waterfront has the advantage of being a very compact package. All within a short walk, we could enjoy the lighthouse at the end of the breakwater, two boats loading at the ore docks and the Edna G historic tugboat. Each view was especially appealing in the morning sunlight. And I couldn’t help but think what a great place it would be to bring the grandkids to explore. When we’d exhausted our fascination with the waterfront and found a few birds for Rich, we headed to the Vanilla Bean Restaurant for our finale. It’s a spot we’ve come to enjoy since moving back to Duluth, and we deemed the changes made by the new owners to be good improvements. I heartily enjoyed the French Toast made with cranberry wild rice bread. We weren’t the only ones to give it a stamp of approval, as the place was packed on a weekday morning. It was a full and pleasant morning and we were home by 10 am. Who says an anniversary has to involve going out for dinner? We much preferred our sunrise celebration. 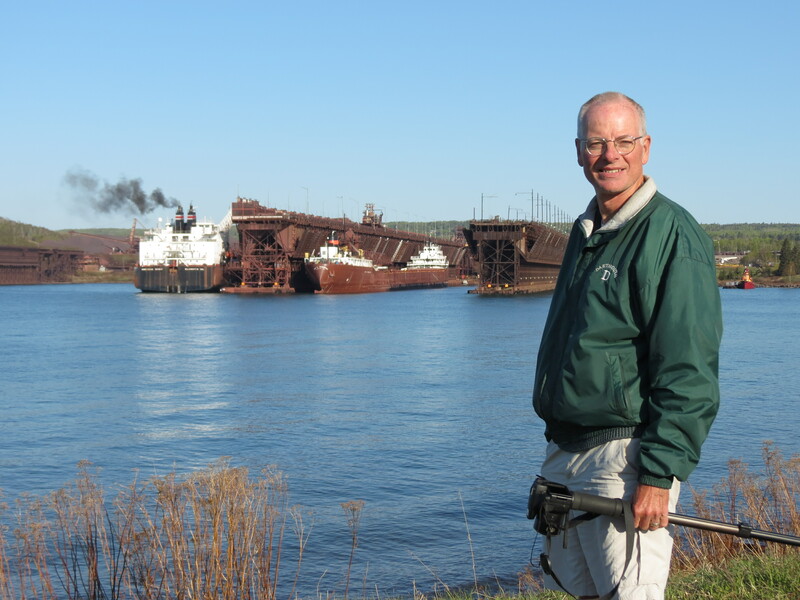 This entry was posted in Family Footprints and tagged Family, Lake Superior, North Shore, Outdoors by Molly. Bookmark the permalink. Felicitations a vous deux !!! 32 years wow this is quite an accomplishment these days & what a terrific way to celebrate it.